Whats up everybody? My name is Tucker Barnhart and I’m currently enjoying the great California sun in Bakersfield, California, home of the Cincinnati Reds High-A affiliate Bakersfield Blaze. It’s a pleasure to be here and I hope you all enjoy. I graduated high school in 2009 in Brownsburg, Indiana, and was drafted by the Reds in 10th round that summer. I was signed to play college baseball at Georgia Tech, in Atlanta, but chose to become a part of the Reds organization instead. I have nothing but good things to say about the decision that I made, and continue to thank everyone that has helped me get to the point I am today. In 2009, I played just a total of 10 games in the Gulf Coast League after I signed at the end of July. When the 2010 season began, I was assigned to the Pioneer League affiliate Billings Mustangs. In 2011, I played a full season in Dayton, Ohio with the Reds Low-A affiliate Dayton Dragons. Coming into the season we were all introduced to the “sell out streak” that the Dragons had compiled. In their sights was the number 815, the all time consecutive sell out record that we were on pace to break in July. It was definitely an experience I will never forget, and a pleasure to be a part of. 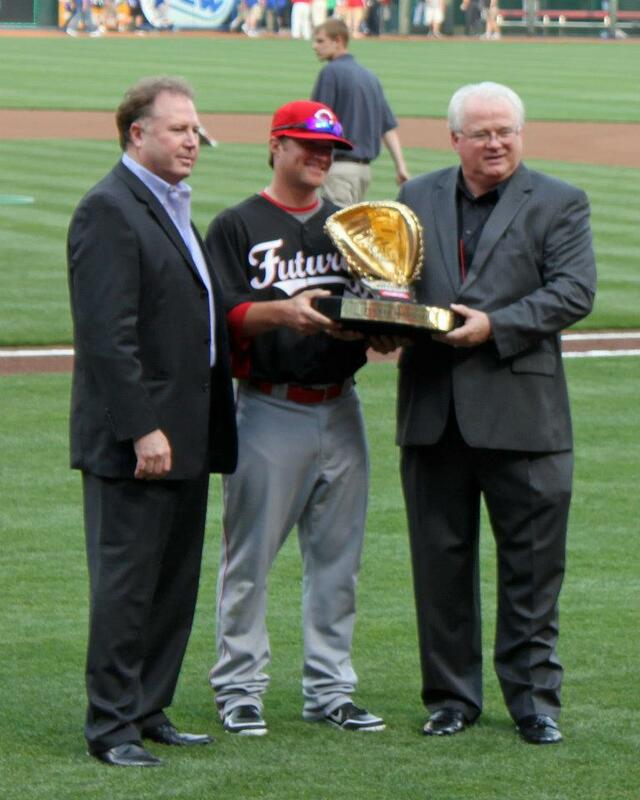 After the season last year, I was informed that I had been awarded the Rawlings Minor League Gold Glove for my performance behind the plate during that season. For a guy that has always taken pride in his defense, it was an honor that was second to none. It was a very humbling experience, and something I would have not been able to achieve without the help of a countless number of people: my family, coaches, and most importantly our pitching staff of last year in Dayton. This season has started off on the right foot, being invited to my first big league camp, and selected to play in a Futures game in Cincinnati on April 2nd, before the Reds home opener. It was a pleasure to be around guys like Ryan Hanigan, Corky Miller, and Devin Mesoraco, to learn how they go about their business on a daily basis. Being able to watch them work every day has helped me become a better player and will definitely help me develop as I climb up the ladder in the Reds organization. I really thank you guys for reading this, and I hope to keep you entertained. For now you can follow me on twitter @Tucker_Barnhart, where I hope to keep you informed on what’s going on with myself and the Bakersfield Blaze.